Rocket Lab teams in New Zealand are preparing for the company’s first launch of the year Sunday (U.S. time) with a small experimental satellite for DARPA, the U.S. military’s research and development agency. Liftoff of Rocket Lab’s two-stage Electron rocket from the company’s commercial launch base in New Zealand is set for a four-hour window opening at 6:30 p.m. EDT (2230 GMT) Sunday. In New Zealand, the launch window opens at 11:30 a.m. local time Monday. Rocket Lab plans to webcast the launch live beginning around 15 minutes before liftoff. 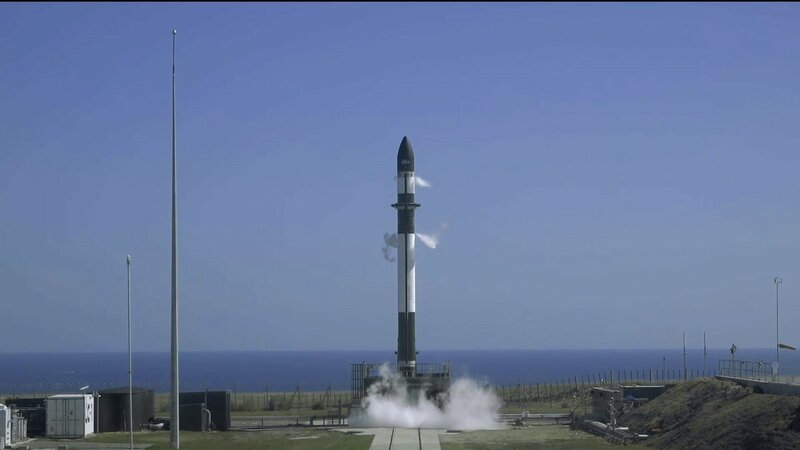 Standing 55 feet tall, Rocket Lab’s Electron Rocket will take off from Launch Complex 1, located on Mahia Peninsula on the east coast of New Zealand’s North Island. The launch will mark the fifth flight of the company’s privately-developed Electron booster since its inaugural test flight in May 2017, and the third in less than five months. Made of lightweight carbon fiber structures, the Electron is designed to deploy small satellites into orbit on dedicated rides, freeing spacecraft owners from often-restrictive rideshare launches, where smallsats have little say over launch schedules and target orbits. Powered by nine Rutherford first stage engines that burn kerosene and liquid oxygen propellants, the Electron rocket will head east from Launch Complex 1 and exceed the speed of sound as it climbs into the stratosphere. A second stage with a single Rutherford engine will fire more than six minutes to reach a preliminary orbit, then will deploy Rocket Lab’s restartable Curie kick stage. The mission’s sole payload is the Defense Advanced Research Projects Agency’s Radio Frequency Risk Reduction Deployment Demonstration satellite. The Curie stage will fire its engine nearly two minutes to place the DARPA-owned payload into a circular 264-mile-high (425-kilometer) orbit inclined 39.5 degrees to the equator. The Curie upper stage will deploy its satellite payload around 53 minutes after liftoff. Known as R3D2, the 330-pound (150-kilogram) spacecraft will demonstrate a new type of membrane reflect array antenna that can be packed into a tight volume for launch on a small rocket, then unfurl once in space. 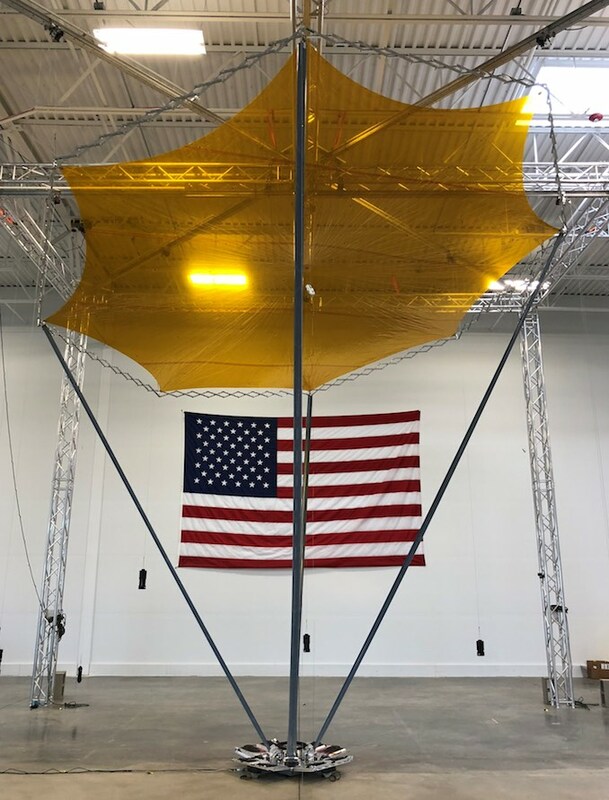 R3D2’s antenna is made of a tissue-thin Kapton membrane, and will deploy to a diameter of nearly 7.4 feet (2.25 meters) in orbit, according to DARPA. During a demonstration mission slated to last at least six months, engineers will monitor the dynamics of the antenna’s deployment, and evaluate its performance. 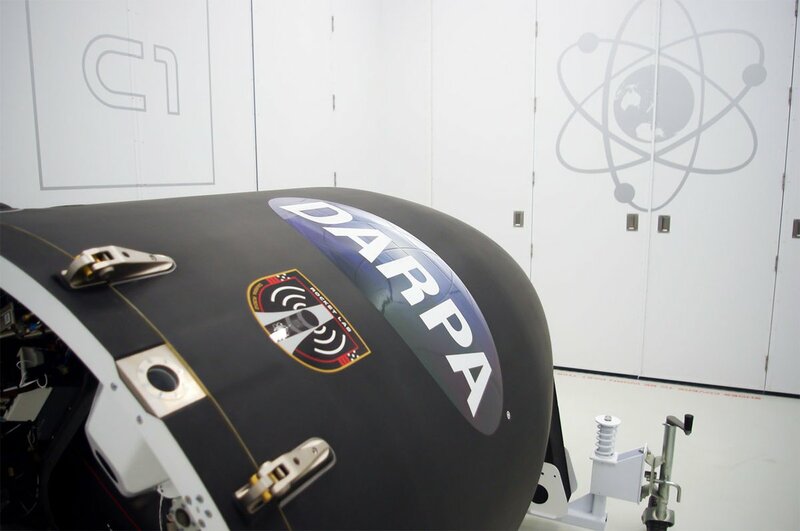 DARPA says the R3D2 satellite cost approximately $25 million, and the agency’s commercial launch contract with Rocket Lab has a value of $6.5 million. The design and development of the R3D2 satellite took approximately 18 months, according to DARPA. Northrop Grumman is prime contractor for the R3D2 mission and assembled the satellite. Blue Canyon Technologies of Boulder, Colorado, provided the spacecraft platform, and MMA Design in Louisville, Colorado, built the antenna. Trident Systems, headquartered in Fairfax, Virginia, designed and built R3D2’s software-defined radio, DARPA said. MMA Design’s Pantograph Deployable High-Gain Reflectarray antenna can work in a wide range of radio frequencies — from UHF to Ka-band — supporting broadband, voice, video and data relay missions. The antenna is scheduled to unfurl to its full size around a week after launch to commence a series of tests for DARPA, including the downlink of encrypted data to U.S. government ground terminals, the agency said in response to questions from Spaceflight Now. The mission is set to last up to six months, but the spacecraft is designed for an 18-month lifetime. The R3D2 mission is Rocket Lab’s first launch for the U.S. military. It is also the company’s first launch of a microsatellite, after previous Electron flights carried clusters of much smaller CubeSats to space. Rocket Lab is a U.S.-New Zealand company, with its corporate headquarters in California and its primary rocket manufacturing plant in Auckland. The company is building a second launch pad at Wallops Island, Virginia, for missions as soon as late this year. Rocket Lab announced the R3D2 mission in January, when officials said the launch was scheduled for late February. Rocket Lab said delays in delivering the R3D2 satellite from its U.S. factory to New Zealand caused the one-month slip in the launch date.